A TSA photo collage of some of the firearms confiscated in 2014. Three Texas airports made the Transportation Security Administration's 2014 top ten list for firearm confiscation at security checkpoints. Dallas-Fort Worth was at the top of the list; 120 guns were discovered in travelers' carry-on luggage at DFW airport in 2014. Over in Houston, George Bush Intercontinental came in at No. 4 with 77 confiscations, and William P. Hobby airport was at No. 6 with 50 confiscations for the year. Overall the TSA discovered a record number of guns in carry-ons at U.S. airports last year: 2,212 firearms were confiscated, roughly an average of six per day. Eighty-three percent of those were loaded at the time. "What we hear most from passengers is that they forgot the firearm was in that particular bag, or they grabbed the wrong bag, or they just didn’t realize that they had it with them," said TSA spokesperson Carrie Harmon. Austin-Bergstrom did not make the top ten list in 2014, but it did see 40 firearms confiscations for the year. That's up from 23 confiscations in 2013 and 33 in 2012. In 2010, there were only seven firearms confiscated in Austin. The number of firearms discovered in carry-ons across the country has shown a pretty steady increase since 660 were discovered in 2005. Though Harmon can't officially speculate on the reasons for this increase, she says the TSA wants to use the opportunity to educate people about the rules. "If you want to bring a firearm, place it in your checked bag," she says. "Go to the ticket counter and tell them you have a firearm. It has to be unloaded and has to be properly packed in a hard-sided locked case." When a firearm is confiscated at security, TSA agents will call local law enforcement, who will then handle the situation. TSA files its own report, and it will, in most cases, assess a civil penalty for the passenger. "That penalty can range from about $250 all the way up to $11,000," Harmon says. "The average penalty for a loaded firearm is about $3,000 and for an unloaded firearm, about $1,500." Local law agents take possession of the confiscated firearms and decide what to do with them and whether to file criminal charges against the passengers. The TSA has a blog, and you can read here for more stats and information on the 2014 year in review report. 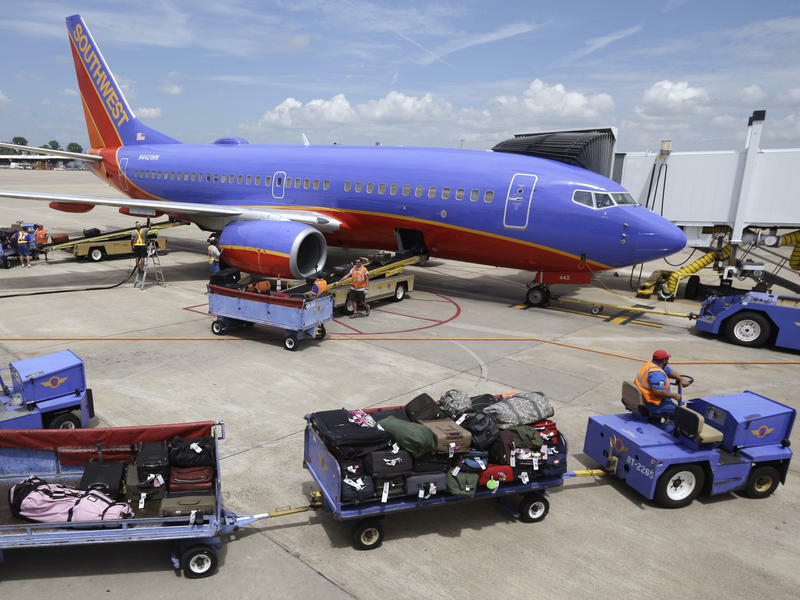 The Federal Aviation Administration announced Monday that it intends to fine Southwest Airlines $12 million for flying Boeing 737 airplanes without making proper repairs. Beginning in 2006, Southwest began "extreme makeover" alterations to address cracking of aluminum skin on 44 jetliners, the FAA said in a news release. Austin-Bergstrom International Airport held a full-scale disaster response exercise on its airfield today, allowing first responders to practice their skills using an actual airplane. The drill involved aircraft, firefighters, EMS responders, medical service vehicles and more. 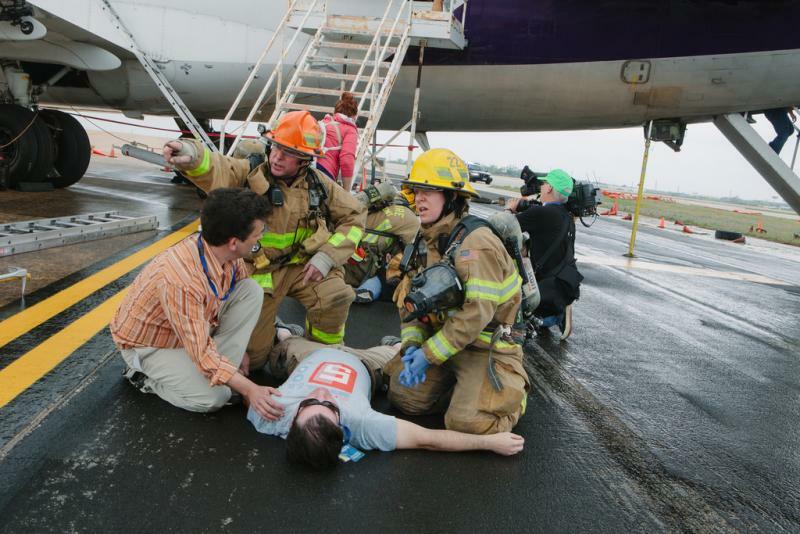 Several volunteers played the role of plane crash victims, complete with simulated injuries. Responders even tagged volunteers' bodies via a triage system, ranking them by the medical attention required.